Martin and I had always wanted to go to the fish markets in Downtown Los Angeles but we never seem to wake up early enough to catch the good stuff. One morning, we made our way over to Los Angeles Fish Co. in the industrial district, ready to be inspired by the bounty of the sea. Razor clams, Santa Barbara uni, PEI mussels, pompano fish, arctic char, fanny bay oysters… the assortment was exciting. One of the more interesting finds was a jar of cuttlefish ink. 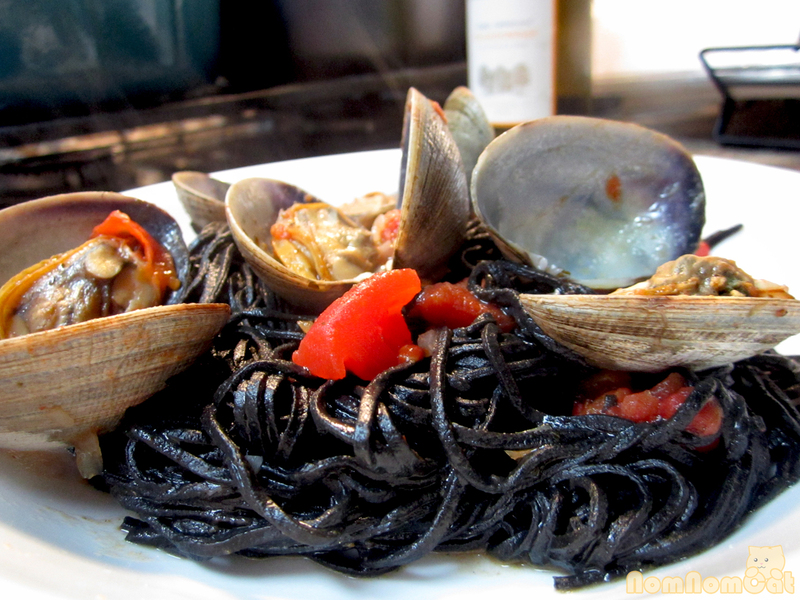 We love to order squid ink pasta whenever we find it on a menu, and we’ve always wanted to make it at home ourselves, so we opened our wallets and forked over the $35 for the 500 mL jar (as we later discovered, it will last us for a very long time). The first question I had (and Googled) was “squid ink vs. cuttlefish ink.” The verdict? I learned that most commercial squid ink is actually from cuttlefish, and that cuttlefish ink is superior because of its rounded, smooth flavor. Squid ink could taste strongly of iodine. 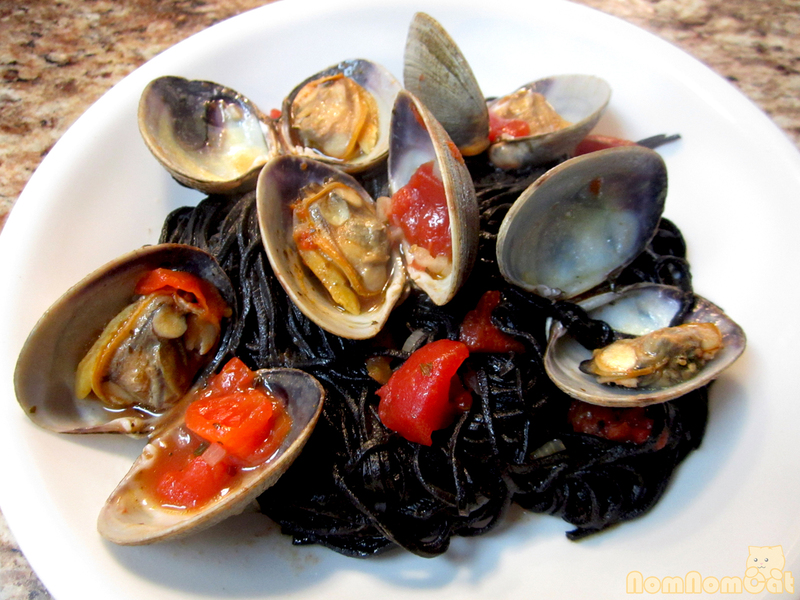 Both bring the briny essence of the sea and a stunning black hue to a classic Italian dish. My second question was whether I should have purchased the cephalopods whole and extracted my own ink sacs. Another Google search told me that commercially harvested ink, packaged in jars, are generally higher quality and better suited for cooking. And the third and last question — how the heck do I add it to the pasta dough? 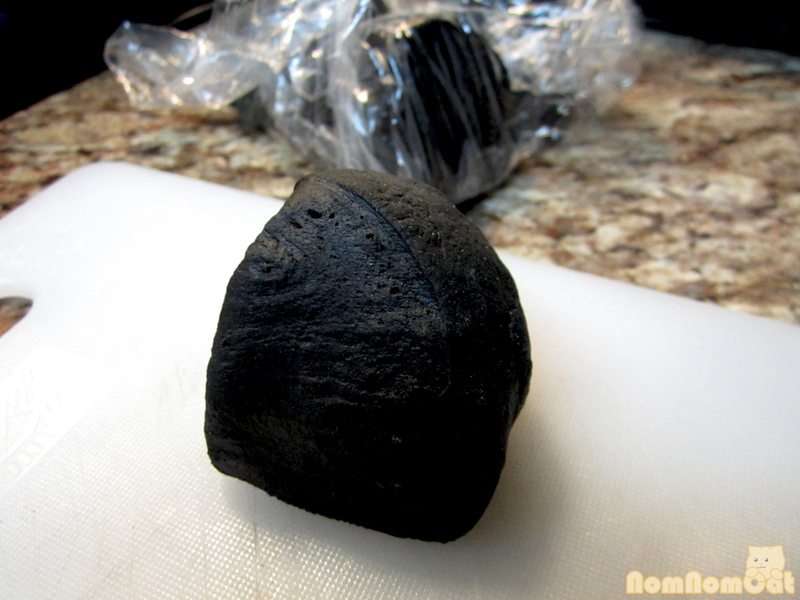 Well, browsing online yielded a lot of recipes for what to do with the store-bought squid ink (don’t do it). 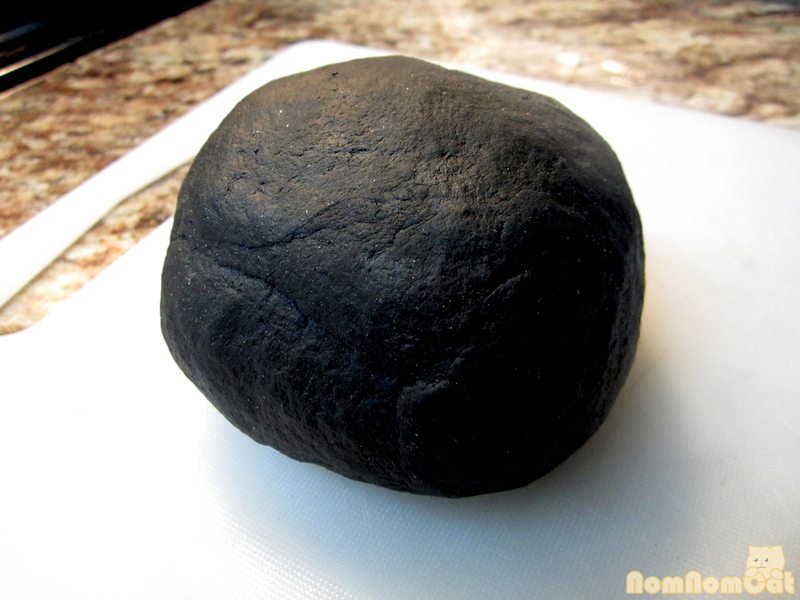 But when I finally found some advice on making homemade black pasta, it turned out to be surprisingly easy! 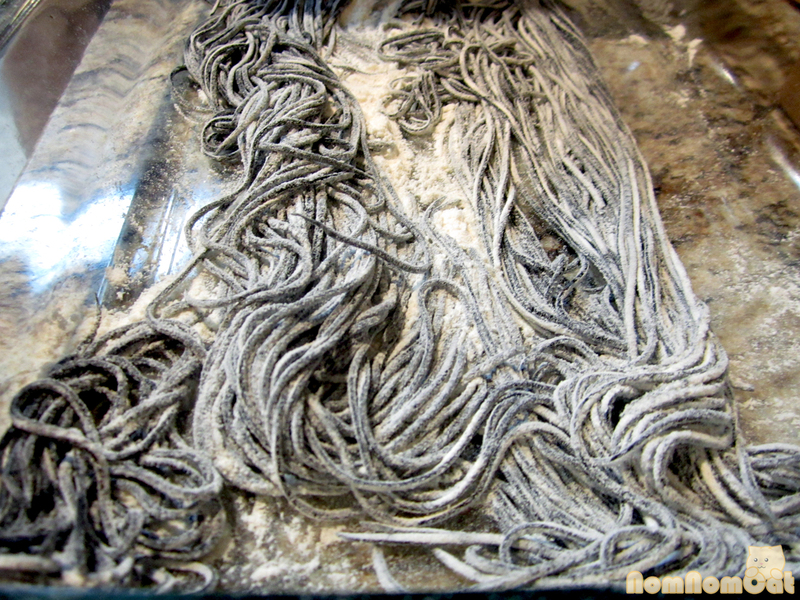 Just take our fresh pasta recipe (yields about 1 pound of dough), and whisk in one tablespoon of ink with the egg-oil mixture prior to pouring it into the flour. It’s that simple. 1. 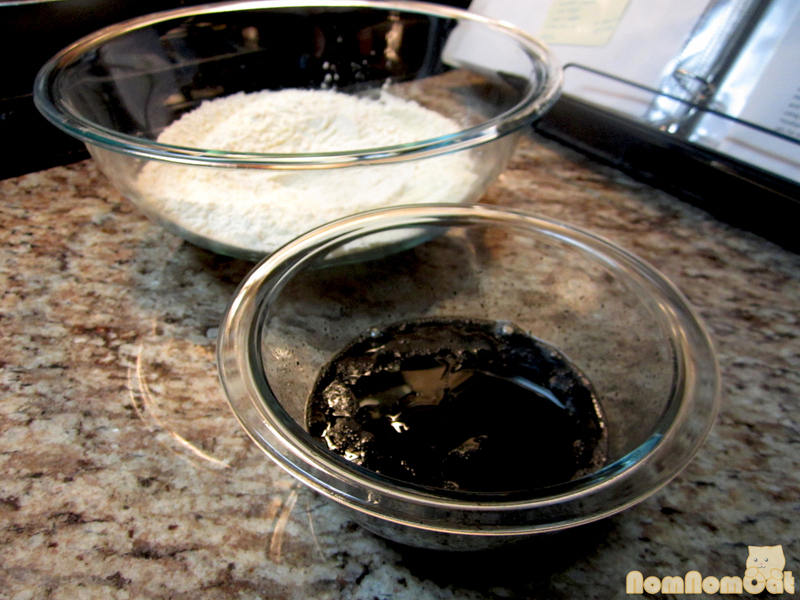 Measure out the flours and gently mix to combine. Make a well in the center. 2. 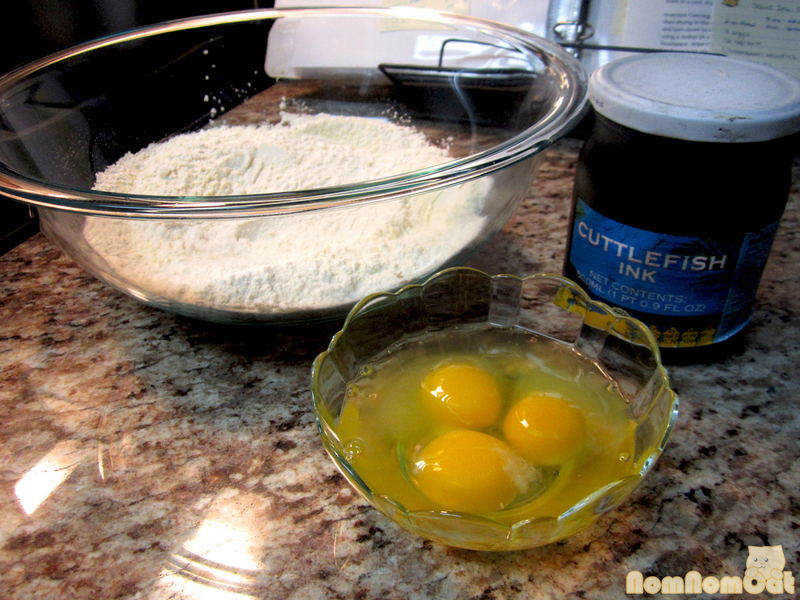 In a small bowl, whisk together the eggs, salt, ink, and oil. Pour into the well. 3. 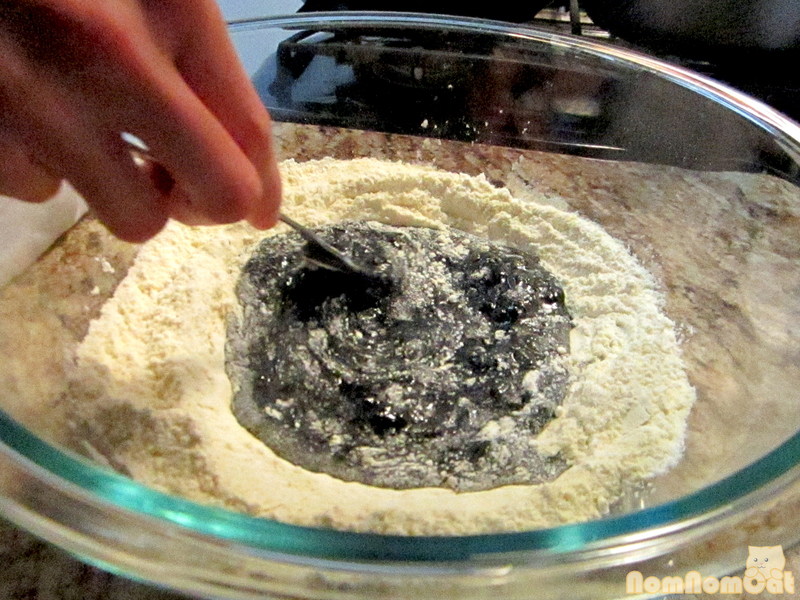 Using a fork, stir in a circular motion to slowly incorporate the dry ingredients into the wet. 4. 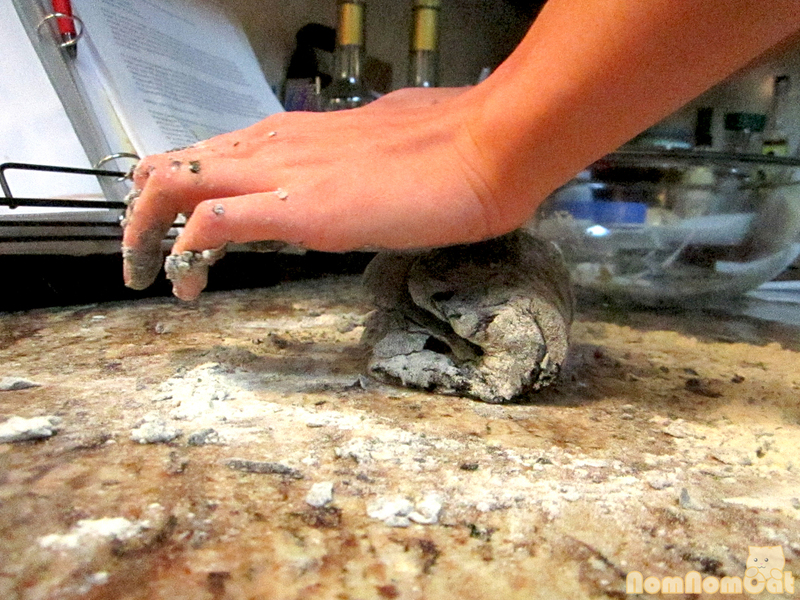 When a dough starts to form, knead on a floured surface for 5-10 minutes. 5. Wrap in plastic wrap and let rest for 20 minutes to 1 hour. 6. Cut into quarters. 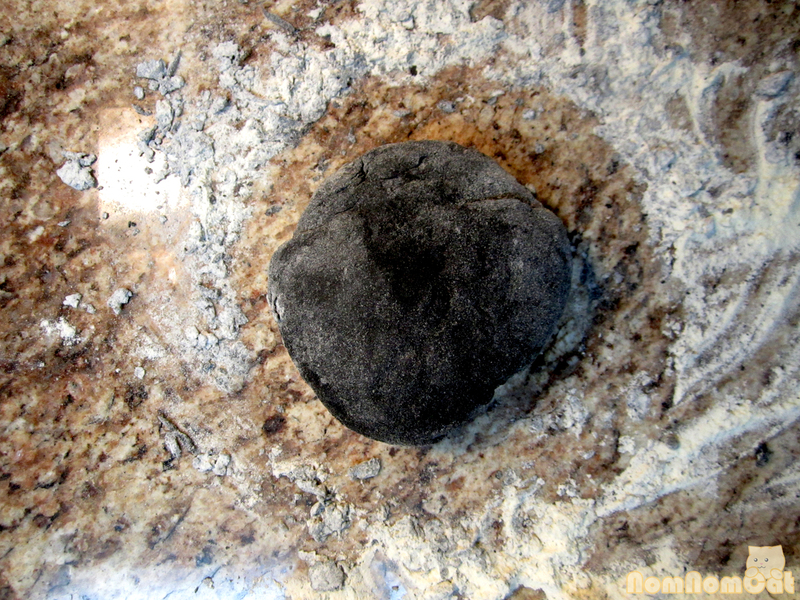 Flatten into a disc and roll out to desired thickness. 7. Cook in salted boiling water for 2-3 minutes. Drain and toss into sauce of choice. Serve immediately. 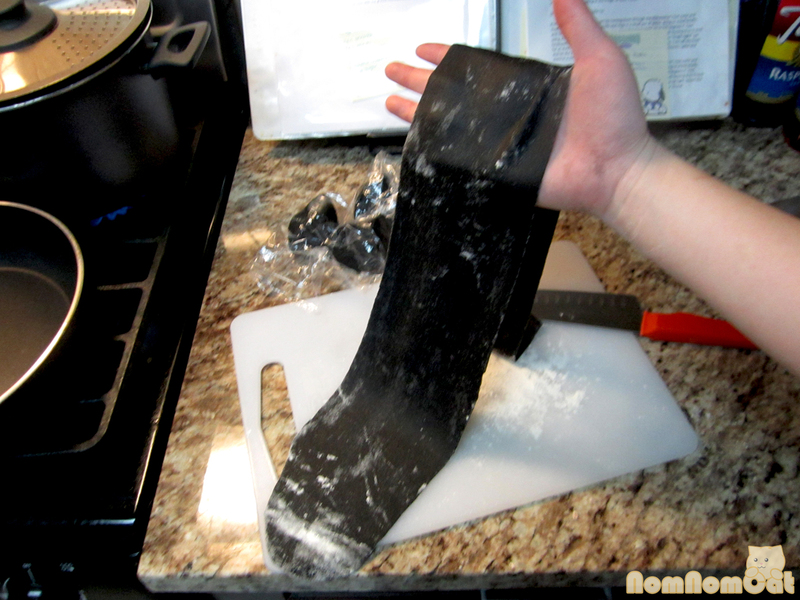 So if you’re looking to make a homemade Italian meal to impress a loved one, try making squid ink pasta. Now that’s amore!